Plant Breeders Rights – Are they worth the paper they are printed on? The Federal Government has directed the Productivity Commission to undertake a review into Australia’s intellectual property (IP) arrangements. The review will encompass all areas of IP but of particular interest to the nursery industry will be the areas around Trademark and Plant Breeders Rights (PBR) as well as the ability to enforce the rights granted by the IP arrangements. Specifically for PBR the Commission is seeking evidence from plant breeders and other stakeholders on a number of questions some of which are detailed below. Has the introduction of PBRs led to a more productive and profitable agriculture sector in Australia than would have been the case under general IP protection? Is there quantitative evidence to show that the introduction of PBRs has led to an increase in the quality and quantity of new plant varieties, and increased the role of the private sector in plant breeding? Are the protections afforded under PBRs proportional to the efforts of plant breeders? How adaptable is the system of PBRs to technological change? Should PBR legislation be changed given new technological developments are available, or can new high-value plant varieties (however they are developed) be adequately supported by patent laws? The Productivity Commission has released an issues paper for public consultation and interested parties should lodge a submission by Monday 30th November 2015. 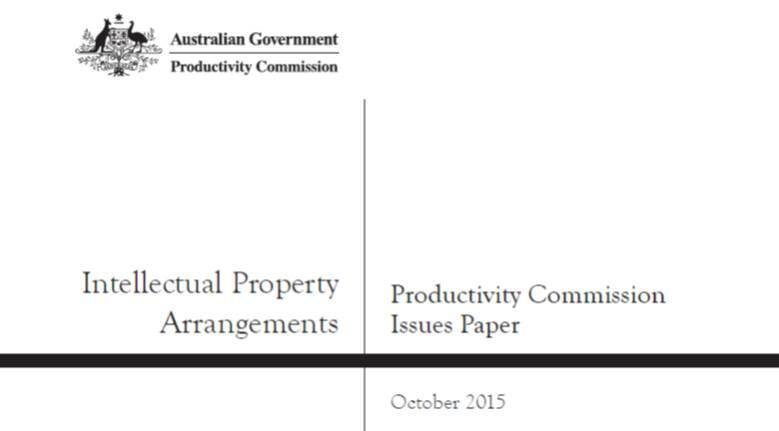 Further information and the issues paper can be found at the Productivity Commission website here.